Taupo Mountain View Motel is in a quiet location off the busy roads. 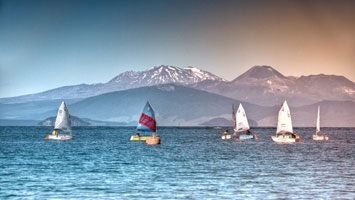 Central Lake Taupo is only a few minutes walk away and the lakefront is just down the road. Due to our close proximity to Lake Taupo most of our units offer stunning views of Mt Ruapehu, Ngaruhoe, Tongariro and our magnificent Lake Taupo. 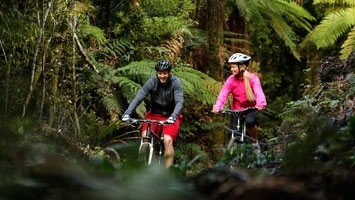 Studio units are ideal for short stays and the large self-contained 2-bedroom units are popular for families and also with guests staying in Taupo longer or travelling in small groups. 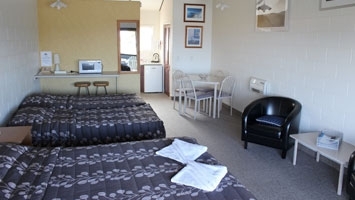 Mountain View Motel often hosts travellers for longer stays, as once travellers get a taste for Taupo they make the most of the great value and service that Mountain View Motel provides. Plenty of off-street parking available for cars, boat trailers and a lock-up garage for motorcycles and bicycles, if required.